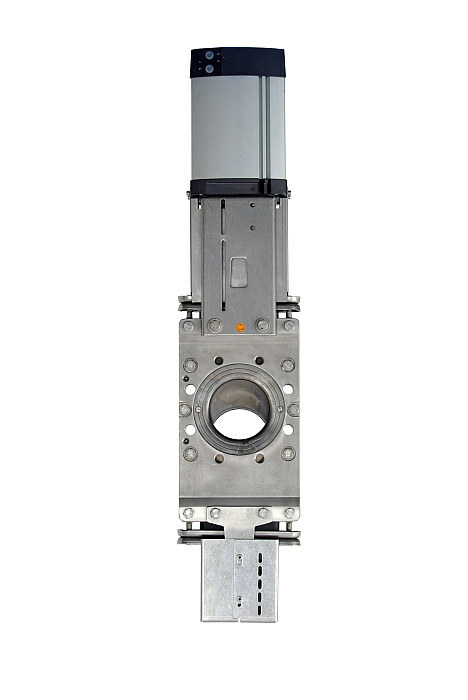 LOHSE stock valves with through-going slide plate have been successfully tested thousands of times in all areas of the pulp and paper industry. Valve types CDS and CDSV are installed of shut-off valves for pulp with a high degree of contamination, owing to their absolutely smooth, pocket-free passage. LOHSE stock valves with through-going slide plate special execution with sealings suitable for foodstuffs are used as shut-off valves and regulating valves for viscous, pulverulant, granular and sticky substances. LOHSE stock valves with through-going slide plate can be found in waste treatment plants for the shutting off of viscous and aggressive substances. On request we can supply specially designed valves of the most varied materials (e. g. titan) for special fields of application.